Discussion in 'Article Discussion' started by Dogbert666, 17 Jul 2014. That is possibly the messiest system build I've seen for a long time. Is there an utter lack of cable tidying ability with the case? The review says very limited, but is that meaning nothing? Where the cables are in that picture IS the cable tidying spot . Or the small HDD bay next to the PSU. Still seems off to me, it is not a dead air spot, there are two fans opposite. The cables look very long and obstruct the 2 fans before the drive cages, surely best route the cables along the bottom and top of the case rather than in front of the fans? 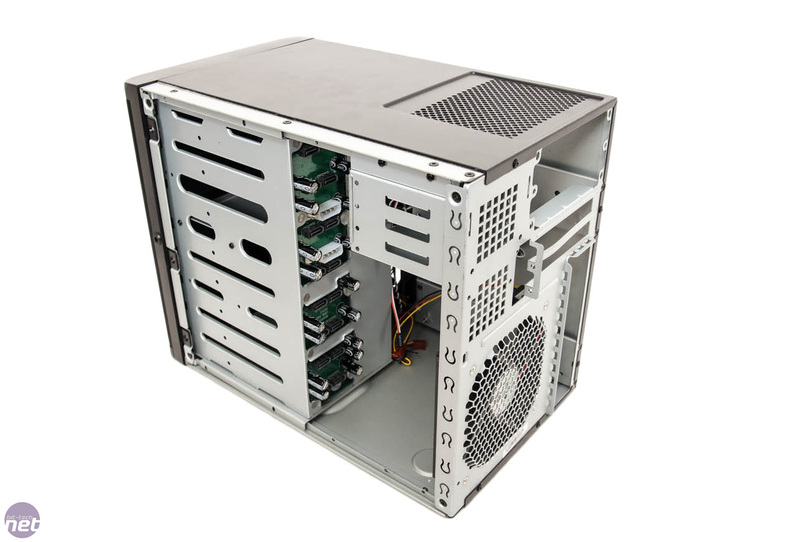 Have been considering getting this to rehouse my hp microserver (plus rocketraid card for stacks of disks), I know it can take a DTX board but I worry the HP board is not standard layout, perhaps someone has some experience migrating their microserver board away from the original case? The cable tidying is nothing a few folds and some insulation tape can't fix but I do think that it is really bad for a case that costs over £100 to be this messy. Sure, it can be made a bit better, but not much. So while you can make a better cabling job, it really depends where your connectors are. 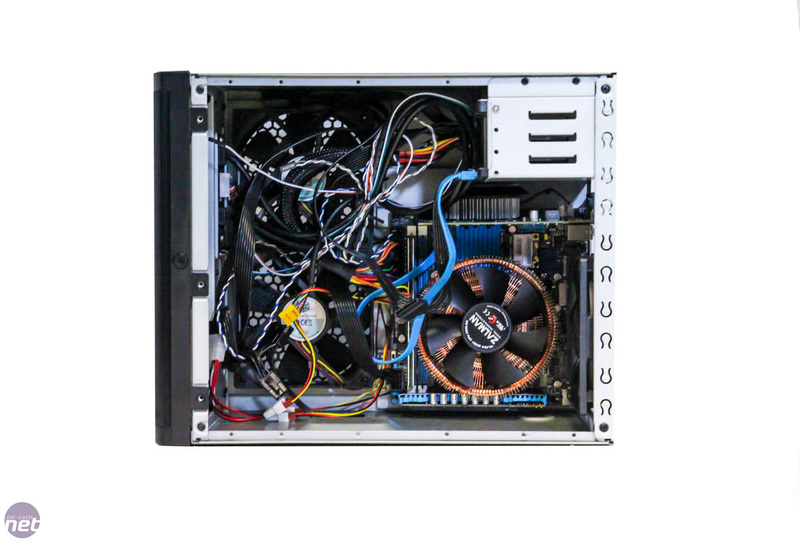 The board used by bit-tech has the power, SATA and front panel connectors at worst possible spot for this case, even with the short cable set from Silverstone. Why the hell would I want 8 HDDs buzzing away next to me? I thought half the idea of a NAS is to put it somewhere out of earshot! This strikes me as the kind of thing you'd stick in the corner, behind the telly, serving as a HTPC and NAS server. That was quite a snakes nest though .